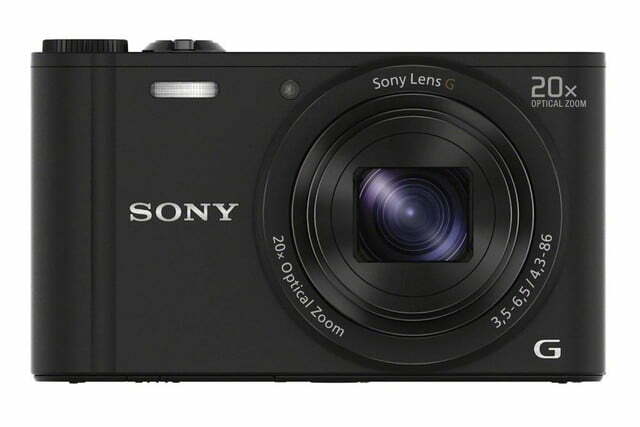 While the star of Sony’s new camera announcements at the 2014 CP+ camera show in Japan (which opened today) is the mirrorless Alpha A6000 interchangeable lens camera, the company also introduced several Cyber-shot models. 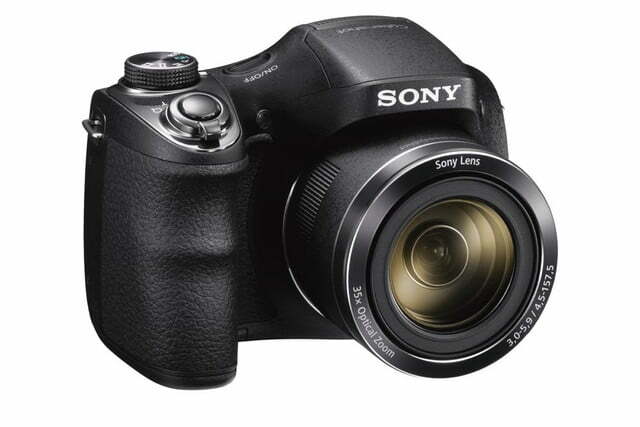 These include three super-zoom bridge shooters and two compacts. 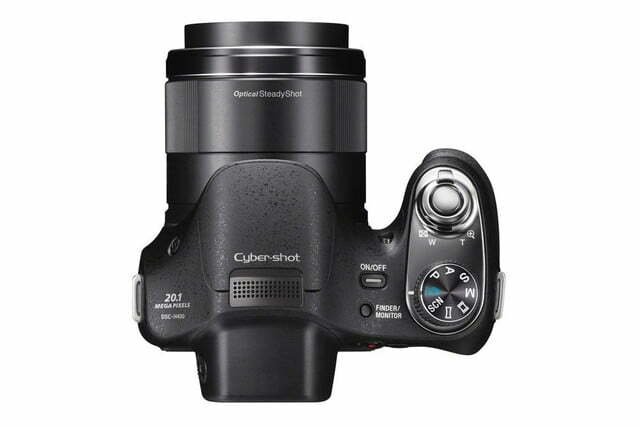 At the top of the new Cyber-shot super-zoom H-series is the HX400V. 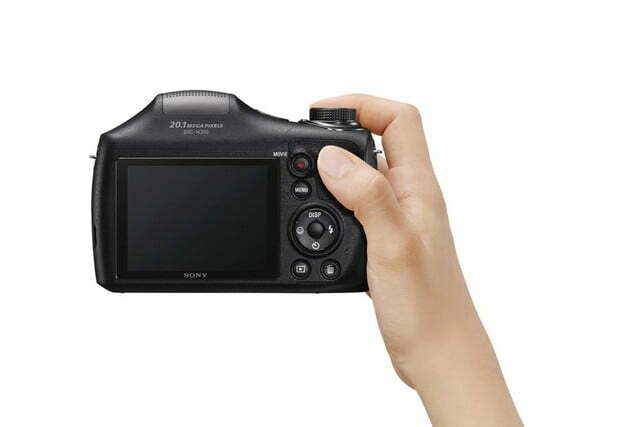 Available in March for around $500, the DSLR-like camera has a 1/2.3-inch 20.4-megapixel Exmor R CMOS sensor and uses Sony’s newest Bionz X image processor. 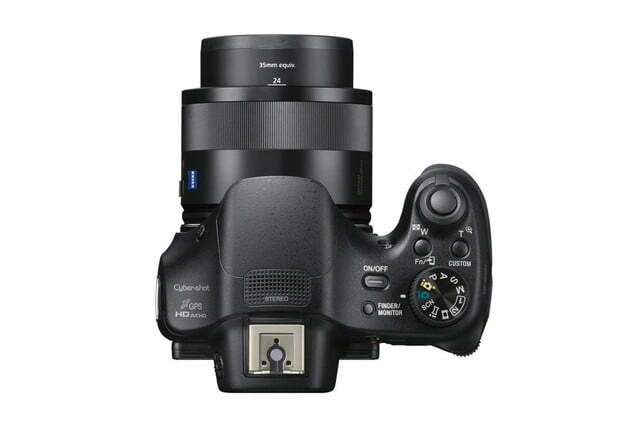 It has a 50x, 24mm wide-angle Zeiss Vario-Sonnar T zoom lens with Optical SteadyShot image stabilization. 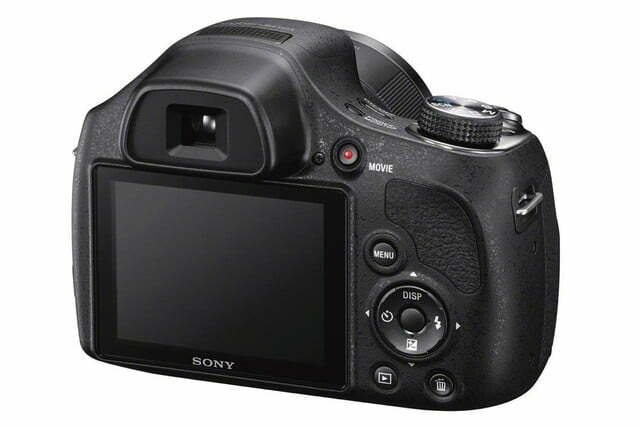 Wi-Fi/NFC lets you pair the camera with an Android or iOS smartphone or tablet for image transfers and remote operation; the camera also supports Sony’s PlayMemories Camera Apps platform of downloadable apps you can use in-camera. 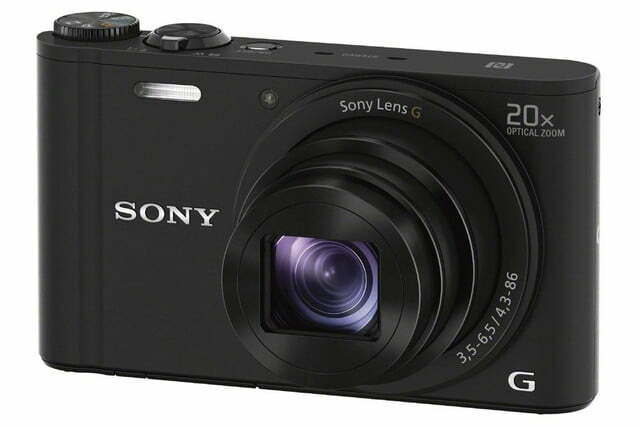 There’s GPS built in for geotagging, LCD electronic viewfinder rated 920k dots, ISO ranging up to 12,800, and burst shooting at 10 frames per second. 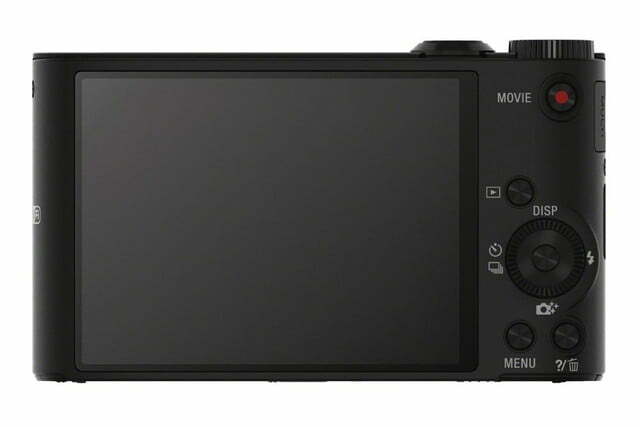 The HX400V can also record “cinema-style” movies at Full HD 1080 at 24p, and up to 60p, as well as “Motion Shot” videos that overlays several images of a subject in an action sequence. 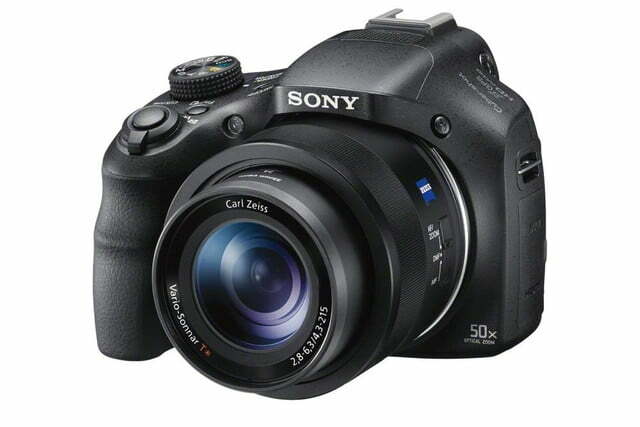 Next is the H400, which Sony calls the “world’s first compact camera with a long-reaching 63x optical zoom lens.” With its DSLR-like body, we’re not sure we’d describe it as compact, but it’s an impressive record, if you’re into that stuff. 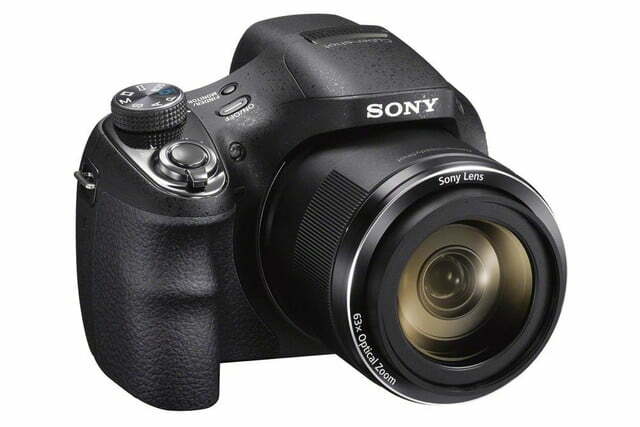 The zoom uses Optical SteadyShot image stabilization, but a bit of a downer is that it uses a 20.1-megapixel CCD sensor – that means video capture is only up to 720p. 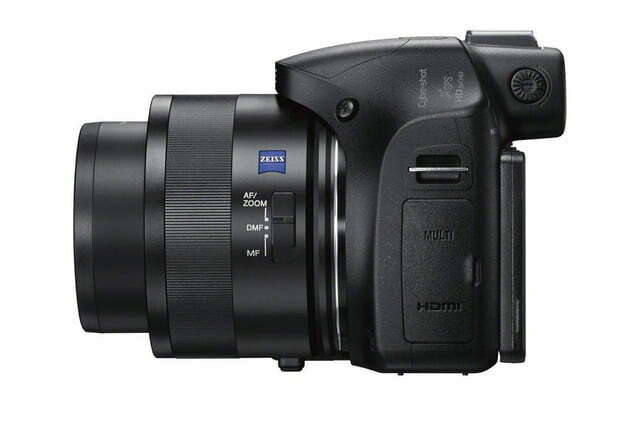 The specs aren’t as strong as the HX400V’s, but still, the camera will appeal to the budget user who wants a very long telephoto zoom that doesn’t cost too much. 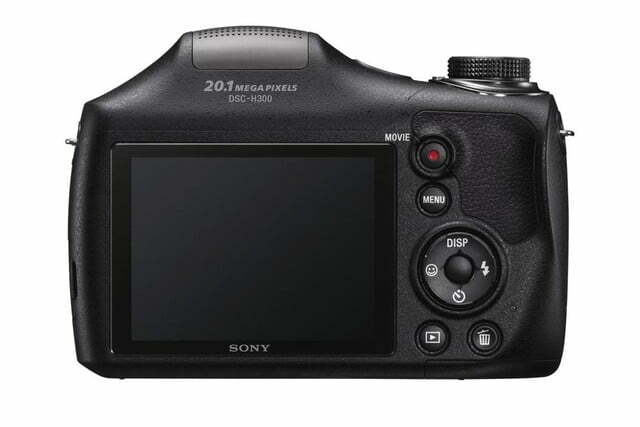 It’ll hit stores in March for around $320. 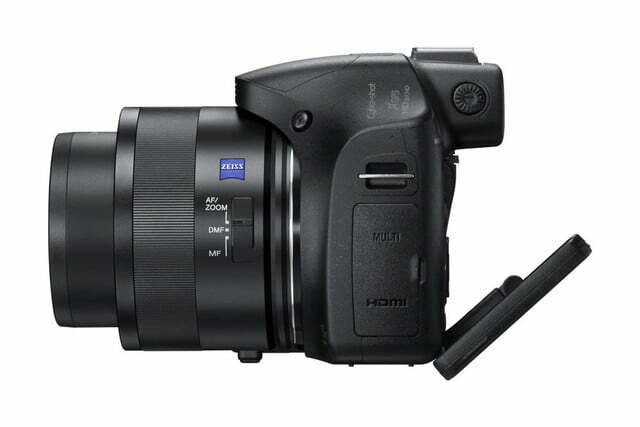 For even less money, at $220, you can pick up the H300, which has a 35x optical zoom lens; this camera hits stores this month. 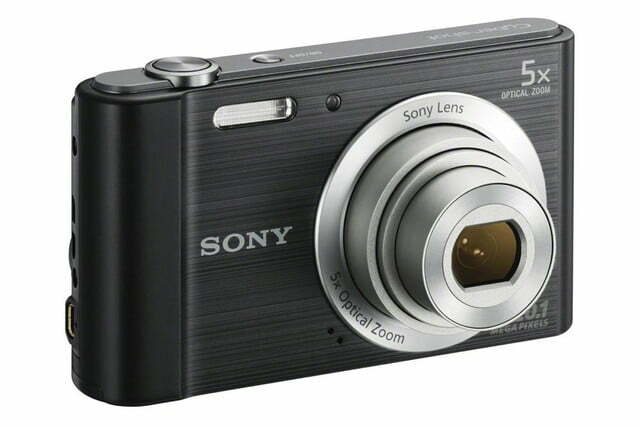 This camera, however, runs on AA batteries. 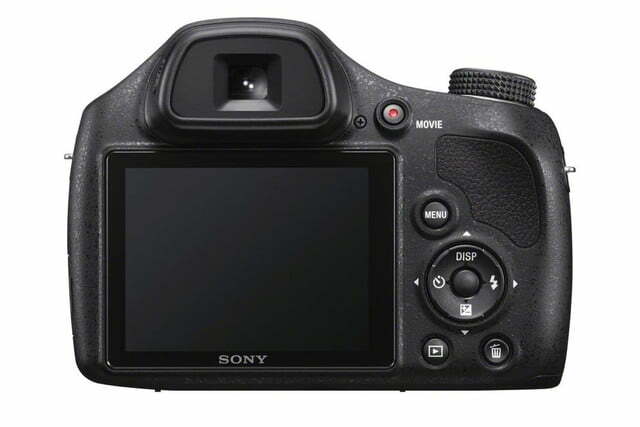 No Wi-Fi/NFC in either model. 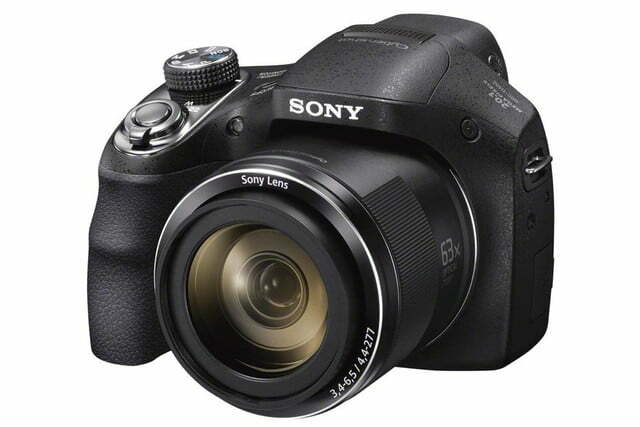 Sony is going for some record-breaking titles, it seems. 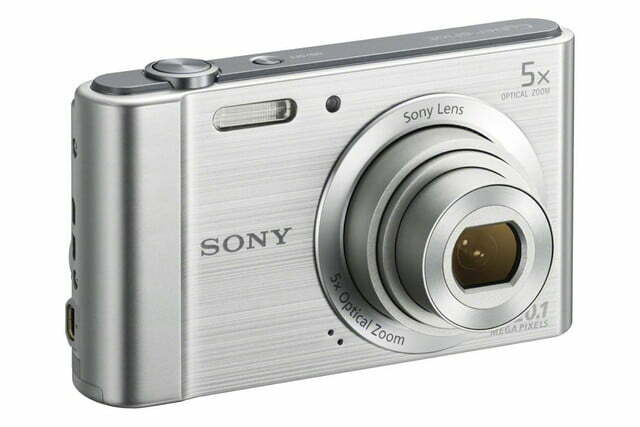 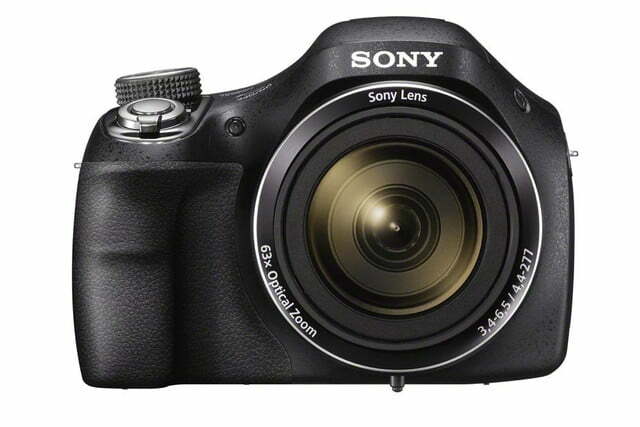 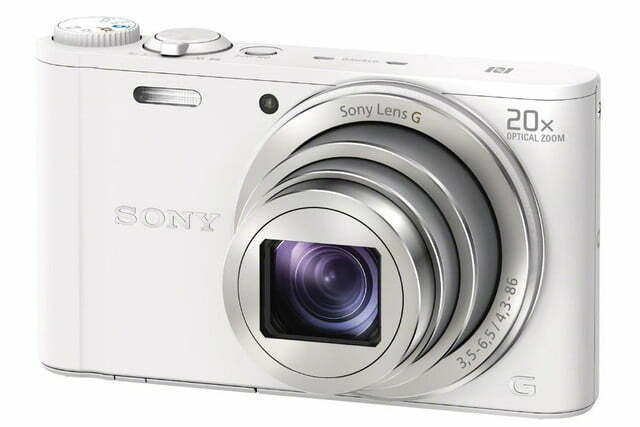 The WX350 compact is the “world’s smallest and lightest compact camera with 20x Sony G optical zoom lens.” We know tech titles like these are somewhat a bit of a stretch, but a long zoom in a compact camera in a nice feature to have. 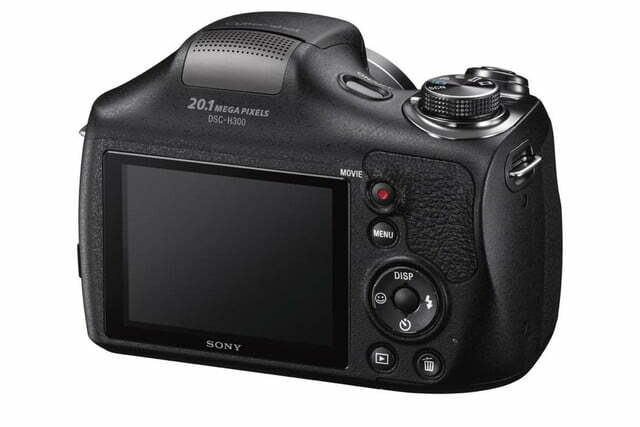 The 18.2-megapixel WX350 also uses a 1/2.3-inch Exmor R CMOS sensor and the Bionz X image processor. 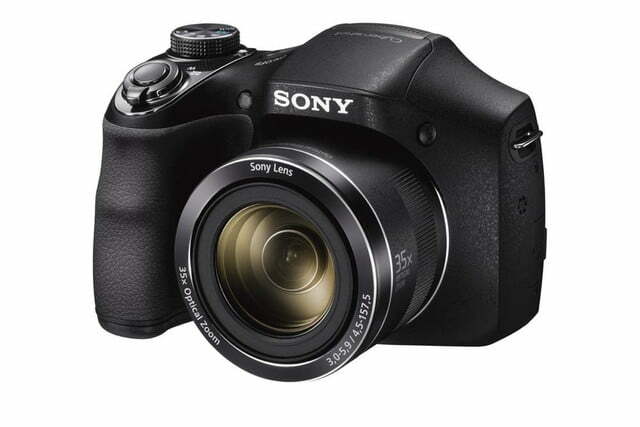 The lens uses Optical SteadyShot image stabilization, and video capture is Full HD 1080 up to 60p/60i. 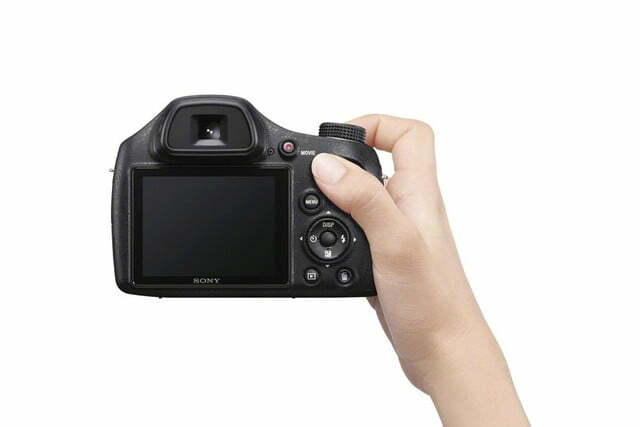 There’s Wi-Fi and NFC as well. 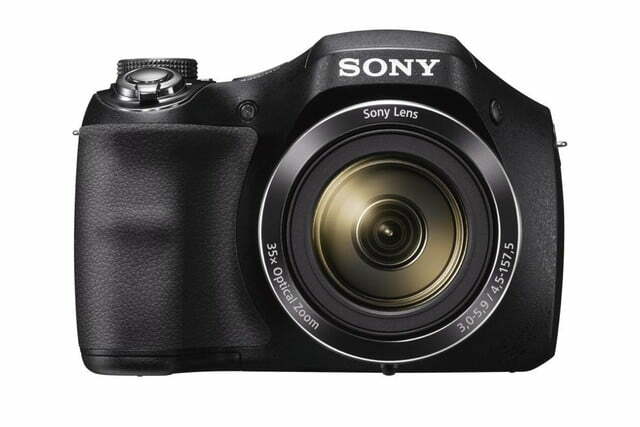 The camera will come in black or white, and go on sale in March for about $320. 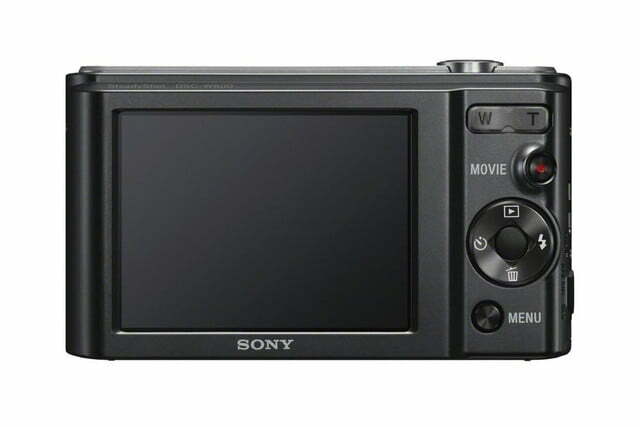 Finally, there’s the WX800. 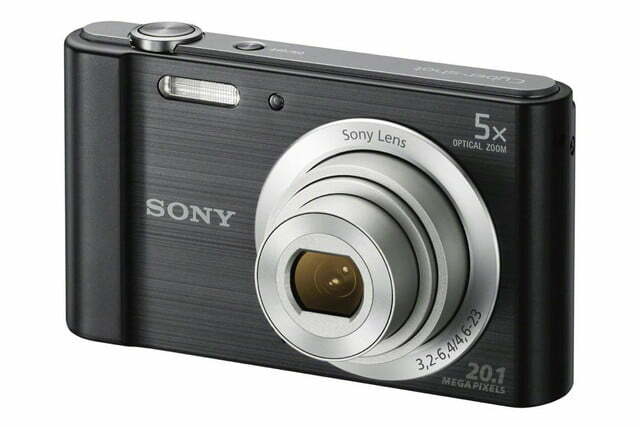 There isn’t much to say about it except it’s a super cheap, simple, and easy-to-use camera at $80. 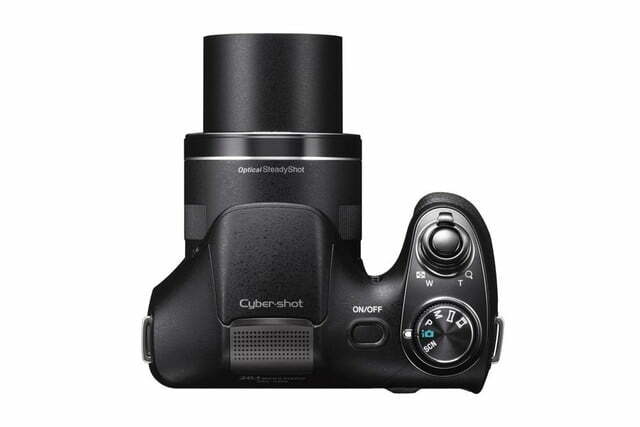 It uses a 20.1-megapixel CCD sensor, has a 5x optical zoom lens, and will be available in March, in black or white. 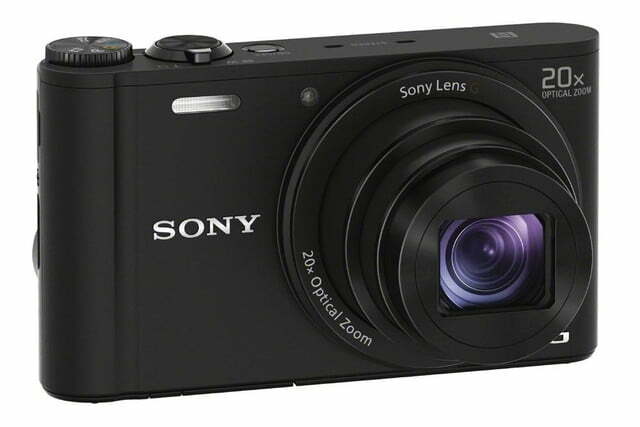 If you want a new, affordable point-and-shoot from Sony, this is it.